Boston, the W Hotel, prestigious four-star hotel whose glass building reaches the heights like skyscrapers and welcomes its guests near the Wang Theatre and Boston Common Park. His bar, presented until recently the most expensive cocktail in town and we tell you all about this ephemeral beverage. The Double Paw cocktail was conceived by the bar’s manager of beverage operations, Tova Feinberg, and in collaboration with the MSPCA, a leading animal protection organization. In fact, the bar at the W Hotel is a pet-friendly place where owners’ pets are offered a bedding and treats. 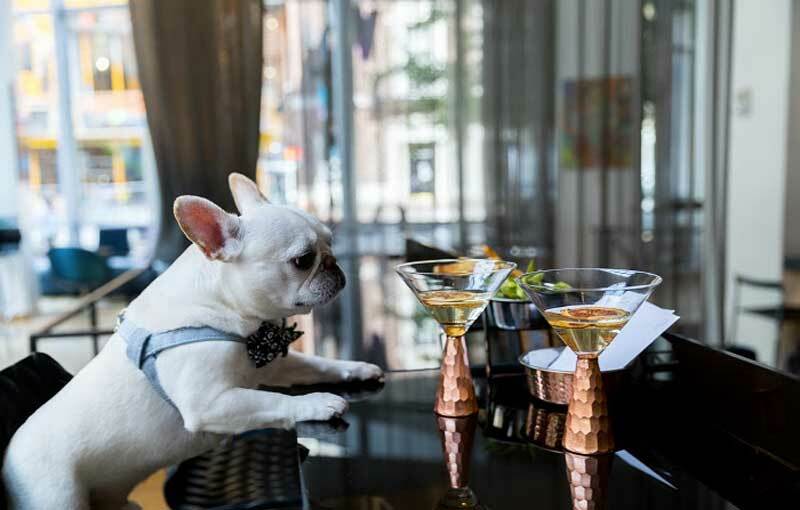 To show its appreciation for our four legged friends, the $1,500 Bar W cocktail will donate all of its cocktail sales proceeds to the MSPCA in Boston and Cape Cod. The Double Paw Cocktail is made from the luxurious Stoli Elit Pristine vodka. Blood orange juice and a slice of blood orange to garnish.